This piece of vintage cast iron cookware was picked up second hand. Some old cast iron pieces are a thing of beauty to many of us. Like viewing fine art. 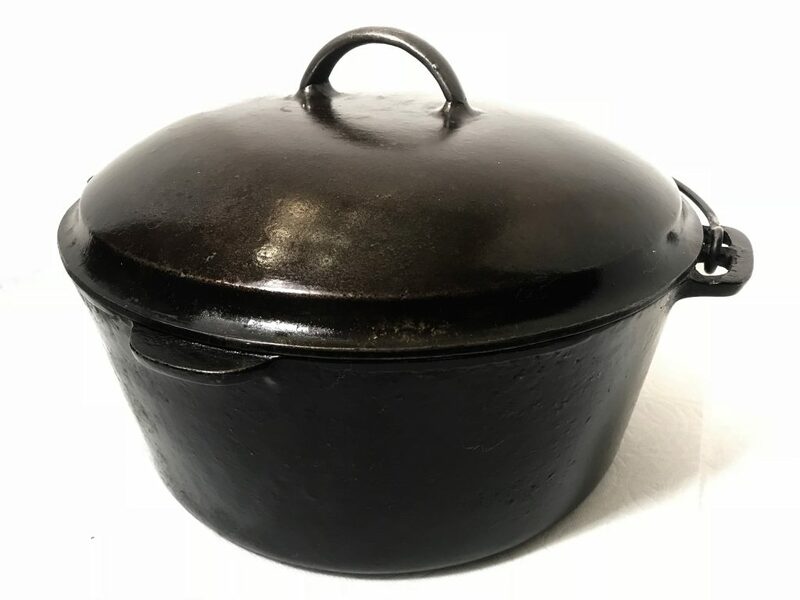 This is a vintage LODGE #10, legless Dutch Oven. The lid has 3 concentric circle drip rings commonly referred to as “sawtooth” style rings. As with most vintage cast iron the inside cooking surface is delightfully smooth compared to their modern made counterparts. 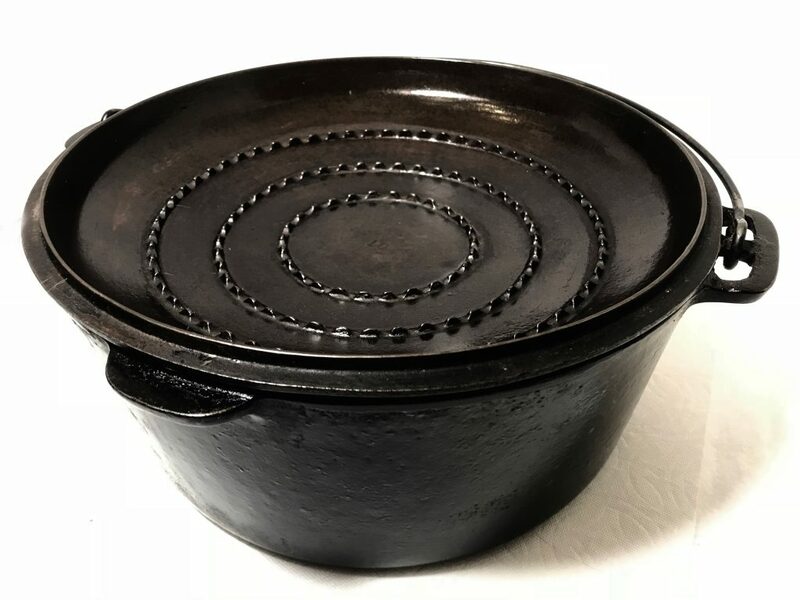 This pot/Dutch Oven is in exceptional condition. This is circa mid 1900’s era. This piece is valued in excess of $150 depending on the buyer, and market in which it is sold.